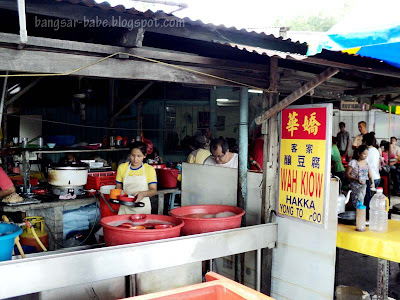 Wah Kiow Hakka Yong Tau Fu is very popular among people who live around the area — according to rif’s mum, it has been operating along Jalan Peel for almost 20 years. Expect no-frills dining; the place is a wooden shack with zinc roof, and plastic tables and chairs placed along the roadside. Not an ideal dining situation for most people, but for those who know me well, I don’t mind it one bit. At 12noon, the place was packed. We found a table by the roadside, quickly sat down and ordered our food. The yong tau fus are prepared on the spot. 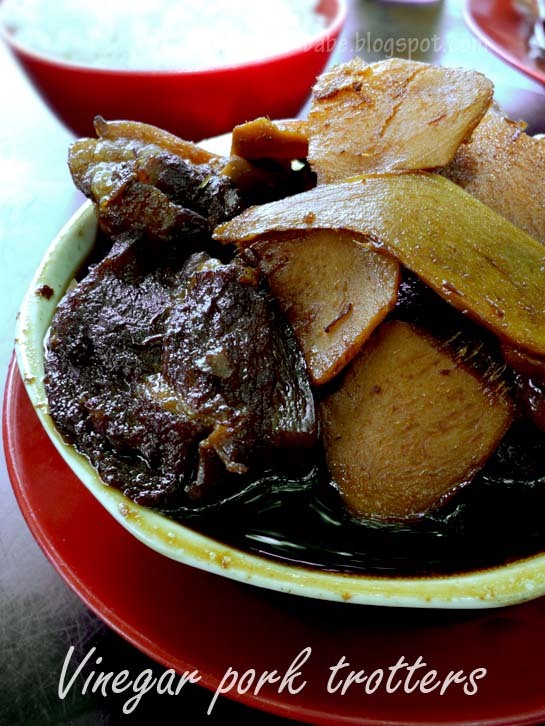 Besides yong tau fu, they also serve vinegar pork trotters, assam fish, curry chicken and hakka char yoke. To order your food, just tick the items you want on the paper slip. They were short-handed that day; the food took almost 45 minutes to arrive. 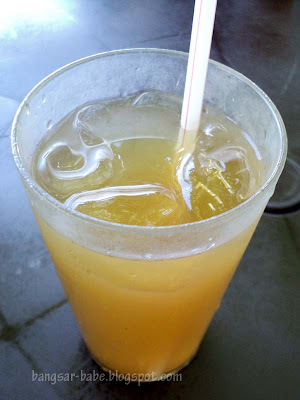 I ordered another leong cha because it was so hot. rif and I loved the fried bean curd; it was incredibly crispy and moreish. The fish paste had a nice bite, with a pungent saltiness that came from adding salted fish into the mixture. Sui kows were not bad, but they were small and shrivelled compared to the ones at Puchong Yong Tau Fu. The vinegar pork trotters were decent, but I prefer the one from Damansara Village. This version was less thick, and the fatty skin wasn’t as soft as I liked it to be. 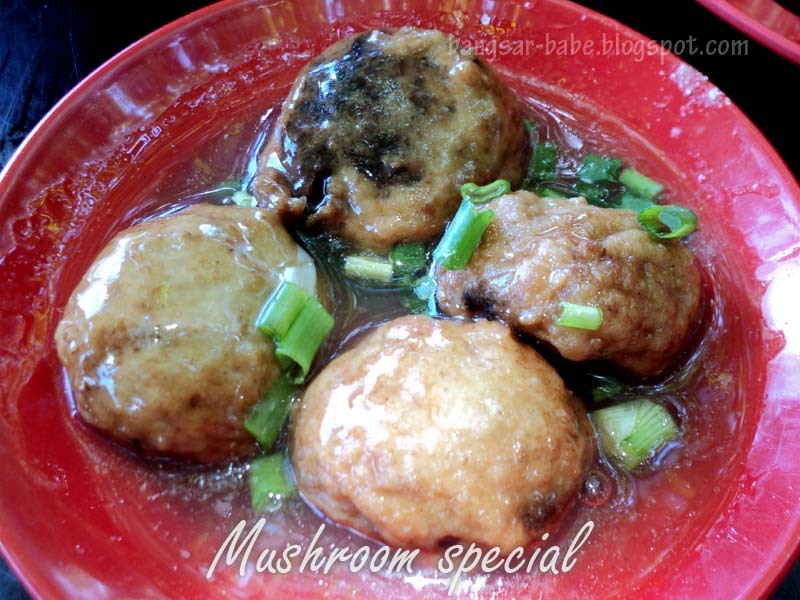 The mushrooms were juicy, and generously stuffed with minced pork mixture. However, I thought the gravy was a tad bland. It didn’t do much to flavour the mushrooms, which was a shame. If I’m not mistaken, each Yong Tau fu costs RM1, and the mushrooms and vinegar pork trotters were RM6 each. Lunch came up to slightly over RM40 for the 4 of us. All in the food was not bad but the long wait is annoying. I still prefer eating at Puchong Yong Tau Fu. 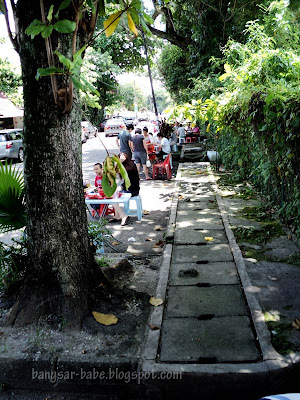 To get here, drive along Jalan Peel until you see a sign turning into a school. Wah Kiow is on your left. 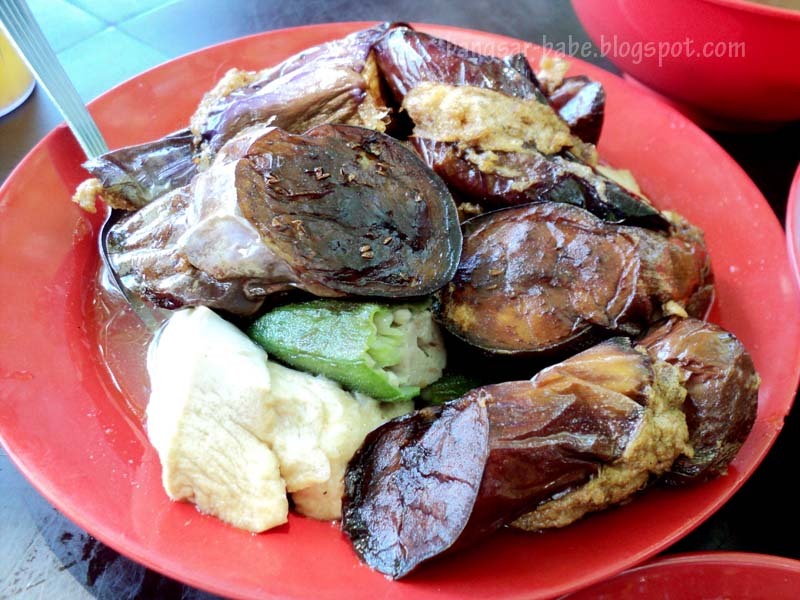 Verdict: The Yong Tau Fus are not bad, but be prepared to sweat while eating. I never got around to doing a review coz got no company. Ish! 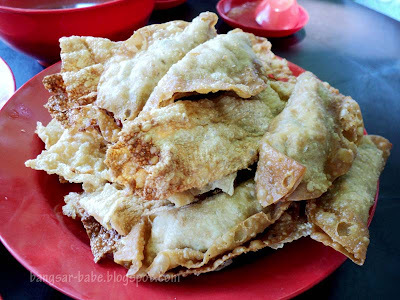 Oh yong tau foo again! How is this compared to the Puchong famous YTF? I like this place. Decent food. 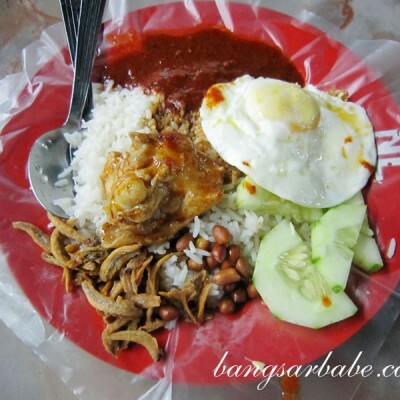 i wanna go to jalan peel! I think you really love your yong tau fu! I've heard so much about this place… Can't wait to try it myself soon..
Lovinlife – Hope you like it! Eric – Not bad la…but I'd still go to Puchong. worldwindows – Yup. Especially the fried foo chuk! leo – This place is opposite Queens Park only…not that hard to find.